What is the role of an association magazine? Brag on it as an ongoing, exclusive member benefit that keeps on giving, thus enticing your members to renew. Use it as a marketing tool to show nonmembers what they’re missing. Within association publishing, teams spend so much time and effort focused on creating a quality magazine that delivers this kind of value to their members that they often overlook — or underestimate — item No. 2: the opportunity to use it as a marketing tool to attract new members. In fact, a well-done association magazine is the perfect ambassador for an organization. It demonstrates what you’re about and what you’re up to better than any marketing collateral ever could. You’re already producing the content and going through a print and mailing process. Why not leverage that effort to drive new membership growth? Need some ideas for how association editors and publishers can team up with their colleagues in membership and marketing to do this? Read on. For one issue each year, print extra copies and mail them to qualified prospective members. A single, unexpected issue that arrives in a prospect’s mailbox gives that individual a tangible opportunity to experience the advantages of membership. Tracking is key. Create an exclusive landing page or provide a promo code for this particular path to membership so you can track the performance of the mailing and measure your ROI. Not sure how to cultivate a list of prospective members? Search your organization’s data for people who have purchased a product from you or registered for one of your events (live or online) at your nonmember rate. If your magazine carries advertisers, they will be thrilled with this additional annual reach. Reprint the top three articles from the previous year. Look for articles that attracted the most engagement from members, whether in online user activity, letters to the editor submissions, or anecdotal feedback. Find ways to repackage select content around a theme — like “Key Insights You’ve Missed.” Use a forward from the current board president to add insightful perspective from the association. Create a special profile of a member who has reached some distinction or created notable industry disruption. Touch on how the association has impacted his/her career and achievements. Print enough copies to distribute at industry events (perhaps in partnership with a complimentary organization) and during career fairs at universities with programs that are entrees to your field. Knowing your distribution plan will help you determine what kind of shelf life your content will need. Based on the content and reach of this introductory issue, consider integrating a single sponsor. This can help defer some of the production costs while giving the industry supplier an opportunity to showcase its support of the association. Similar to extending your print run, consider allowing open access to a select digital issue of your magazine once each year. Direct your prospects to it via an email campaign, social pushes, and your association website. Work with your marketing team to determine which issue will be most attractive to your target group. This could be the issue published in sync with your annual meeting or a themed issue that covers sought-after information. Take advantage of the opportunity this platform offers to enhance the print content with digital features like video. According to research from inbound marketing giant HubSpot, even using the word “video” in an email subject line boosts open rates by up to 19 percent. In addition to content-related videos, consider creating video messages, such as one from a high-profile member of the association. Capture that person speaking directly to prospective members about why membership is so important and what the magazine means to members. Deliver the video directly within the email message itself (using a tool like BombBomb), along with links to the digital edition and membership enrollment. When you promote this freely accessible digital issue on your social media channels, catch people’s attention by including a short animated GIF of the magazine’s cover or an inside spread. And if not animation, at least an image. People react to information more often when it’s paired with relevant images. According to a research test by Buffer, for example, tweets with images received 150 percent more retweets than those without images. As with the print bonus distribution concept, don’t send the complimentary digital edition along without a clear, upfront message and call to action. Craft an email message that touts this exclusive opportunity to get a taste of information and insight that’s otherwise reserved for members. Highlight a clear offer to join, include a discount or promotion code, and track your results. Many media outlets like The Washington Post are experimenting with metered gateways that allow readers access to a limited number of articles every month. Along these lines, some association publishers are giving access to their cover story (or similarly defined content pieces) for every issue. This is certainly a way to tease prospective members with the highest quality insights your organization offers, but it can also be argued that it gives away your most valuable content for little to no return. If you do choose to make some digital content freely accessible each month, structure your access setup so there’s a fair exchange of value. For example, require that users complete a simple form before they can access the content. Keep this very basic — just enough information to enable you to identify these prospects — so you don’t scare them away. Then, once a user has navigated through the freely accessible content, prompt them with a gateway that explains the value of membership, provides a link to join, and, of course, includes a mechanism to track conversions. Showcase your magazine to prospective members. 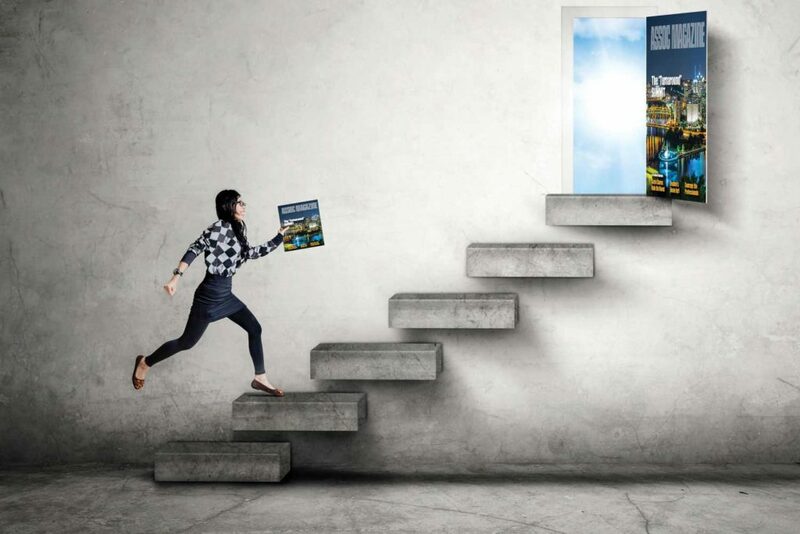 Your effort to create a top-notch publication can only further its reach and the mission of your association and the industry or profession it serves. Jen Smith is vice president of creative strategy at MCI USA (formerly Network Media Partners), a consultancy serving associations, corporations, and governments. Connect via smith@pagesthemagazine.com.